You will find all of the patterns that I currently have for sale in my payhip store. Please note that these pattern are intended for personal use only. They are not to be reproduced or redistributed in any form. If you would like to sell items made from any of the patterns then I am happy for you to do so as long as they are handmade by you and that you are only selling on a small scale. There are a total of seven designs in this series. Each of the designs is available for purchase individually in my payhip store or you may purchase a pattern bundle which contains all seven designs. There are four designs in this pattern set. Each of the designs may be purchased on its own or if you intend to sew a whole cluster of dragonflies then there is a pattern bundle available which contains all four of the designs. This cushion cover features an English Paper Pieced Liberty Hummingbird on an plain cloth background. It has been designed for a 20″ cushion filler and has both bound edges and a zipper closure on the back. 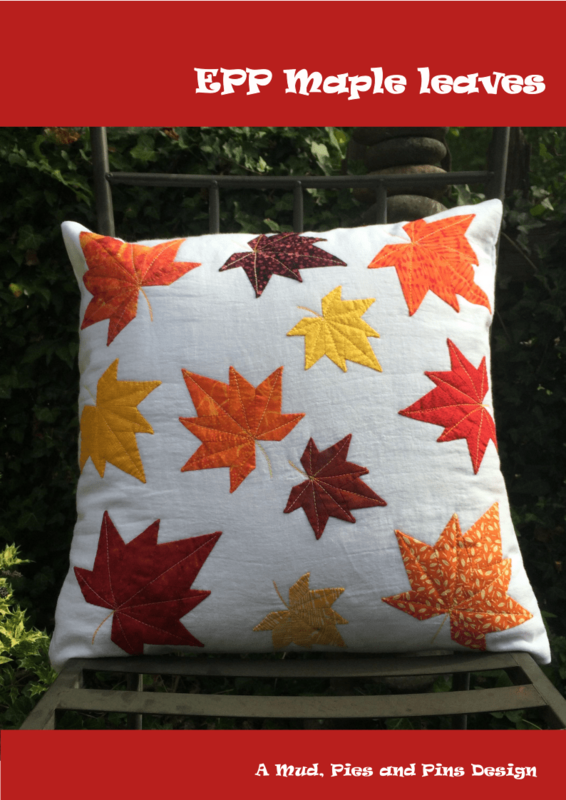 This pattern contains the templates and basic instructions you need to create English Paper Pieced maple leaves that you can applique onto any number of projects. 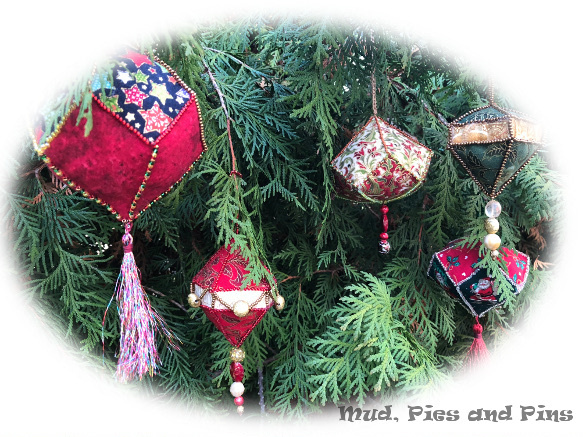 These EPP beaded ornaments were inspired by some ornate festive fabrics that have been sitting in my stash for quite a number of years, and my love of ornate, and perhaps somewhat old fashioned, Christmas decor. The design combined EPP and beading with, what I think are, stunning results. The pattern is free to purchase till the end of the year if you use the coupon code FREEGIFT18 at checkout.